We’re the top bathroom contractor in NJ. Servicing Ocean and Monmouth counties for over 40 years. Whether you have a large or small bathroom, remodeling is easy with Gambrick. We have what you’re looking for and will make it beautiful. Providing you with the best new bathroom solutions at the Jersey Shore. A full-service approach guaranteed to make your bathroom remodel easier and more satisfying for you and your family. Our team will come to your home and take measurements. We will design your bathroom layout which involves where your new cabinets, water technology, and backsplash will go. We’ll also implement unlimited revisions until you are completely satisfied. Gambrick will guide you in coordinating all of your finishes so that your tile work, tubs, bathroom vanities and water technology all complement each other beautifully. We will help you develop a budget and create a design within it to provide you with a bathroom renovation you can afford. Keep in mind, since Gambrick is a full service company, we’re also a supplier and contractor, so we always keep a close eye on how much the project costs, which gives us the freedom to spend within reason on what you really want. So whether your budget is large or small, bathroom remodeling dreams can become a reality when you work with Gambrick. From traditional design to the most modern styles. Whether you’re looking for a luxury bathroom design or just an update, we have something for you. By having a big selection, we can replicate any bathroom design you may imagine, even anything you might have seen in a magazine or on the web. 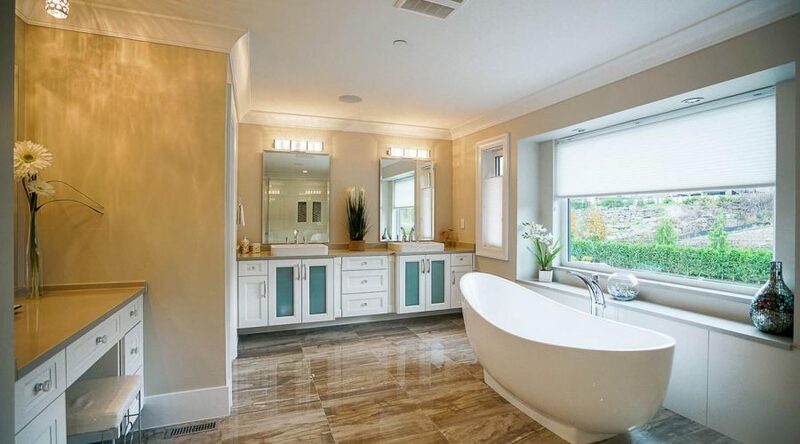 As a top NJ Bathroom Contractor with over 40 years experience we have the experience remodeling custom luxury bathrooms, with hundreds of successfully completed bathrooms and satisfied customers. It’s because we are a great brand that makes us superior in terms of quality, level of service, problem solving, project management, and warranties. Regardless of any of the challenges of bathroom remodeling, you eliminate the risk you might find with other companies when you choose Gambrick as your contractor. Since we always strive for complete satisfaction, working with Gambrick can guarantee that your bathroom renovation will meet or exceed your expectations. If you’re interested in bathroom renovations or a bathroom remodel you’ll need the top bathroom contractor in NJ. Gambrick can add a beautiful and contemporary décor to your home. We’re experts in luxury bathroom design and small bathroom remodeling. 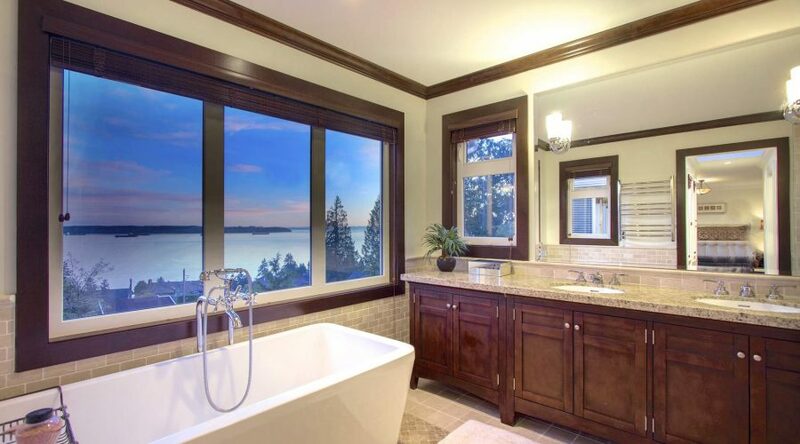 You get the benefit of our vast bathroom remodeling experience for an affordable price. Whether your goal is luxury bathroom design or small bathroom remodeling, you want your bathroom to give you comfort and individual style. But there are so many choices. Elegant granite or marble countertops. Beautiful vanities and cabinets. Single or double bathroom sinks. Ceramic wall tiling and laminate flooring. Whirlpool tub or soft bathtub. 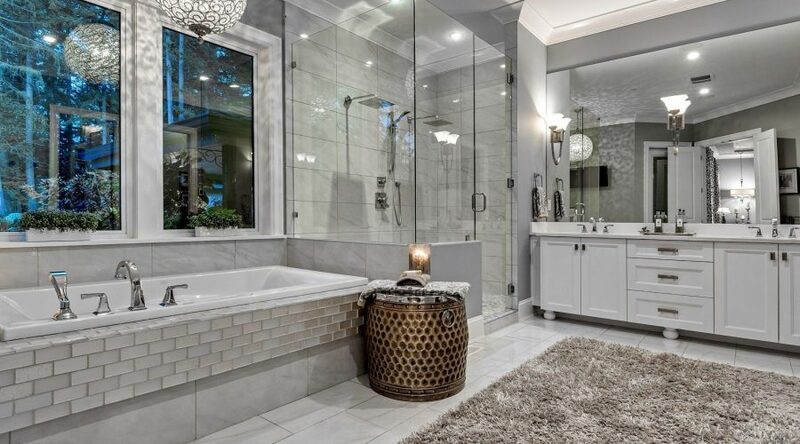 Our design professionals in bathroom remodeling, will work with you closely so that your bathroom reflects your taste and sets just the right tone. Gambrick’s design professionals offer you extensive product knowledge and exciting ideas. 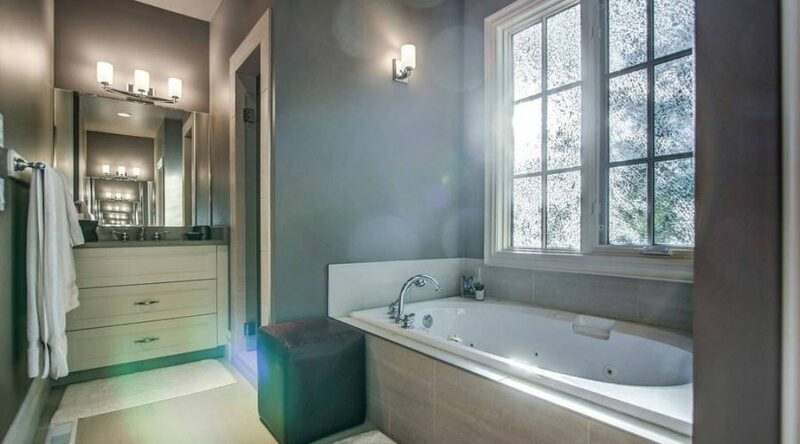 We specialize in bathroom renovations and will explore your preferences and discuss design trends. The goal is to maximize and beautify your bathroom’s space. Do you have a new look for your bathroom in mind? From luxury bathroom design to small bathroom remodeling, we’ll show you the best options to make it happen. We take pride in our bathroom renovations. Gambrick provides high-quality service and outstanding products. We want our bathroom renovations to exceed your expectations. We turn your vision of a new luxury bathroom design or small bathroom remodeling into a reality that you will enjoy for many years to come. Every time you walk into your bathroom, you’ll know the job was done right, and real value was added to your home. A small bathroom in NJ is often a fact of life as square footage is sometimes limited. Remodeling in NJ for 40 years has given us years of experience elegantly optimizing the limited space with clever small bathroom ideas. Designed by the experts at Gambrick, small is no longer a limitation. Small bathroom remodeling contractors will help you to incorporate your own personal touch into the design, creating just the look you dream of. 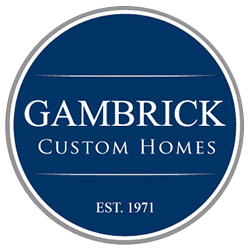 There is no one better than Gambrick as a bathroom contractor. We will create a luxury bathroom design based on your vision. Your living space will be taken to a new level of comfort and class with a Gambrick upscale bathroom remodel. Designed by NJ’s most refined experts your new luxurious bathroom can become the starting point for your elegant home, or be the final piece that completes your home lifestyle. Call for your free consultation to start designing an exclusive bathroom for your home today! Gambrick has many high-end suppliers through which we can create your NJ luxury bathroom design. Companies like Kohler and Delta have an endless selection of sinks and fixtures to help create the look you choose. 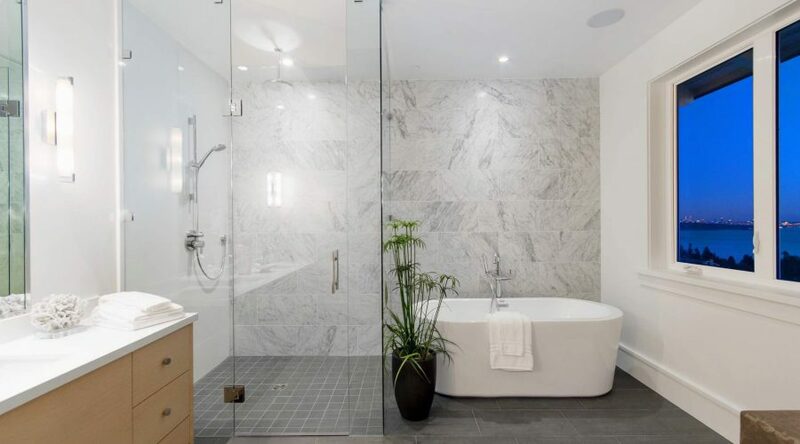 With our wide selection of high-end products such as vanities, sinks, fixtures, tubs and more, as well as our original bathroom tile ideas, our home interior designers will assist you in planning a luxury bathroom design that you will love. Gambrick now offers a new and better method for performing a bathroom renovation. A full-service approach which guarantees to make your bathroom remodel easier and more satisfying. Measurement: Our team will visit your home and measure the dimensions of your bathroom accurately. Layout: Gambrick will conceptualize and design your bathroom layout which involves where your new cabinets, water technology, and backsplashes will go. We will also implement unlimited revisions until you are completely satisfied with your bathroom design. We consider all the customers needs including tub to shower conversions, installing elderly walk in tubs and easy access showers. Selection of Finishes: We will guide you in coordinating all of your finishes so that your bathroom tile ideas, tub, bathroom vanities and water technology all complement each other beautifully. We carry decorative door knobs and other fancy bathroom accessories. Budget Planning: We’ll help you develop a budget and create a design within it to provide you with a bathroom renovation you can afford. Gambrick is a full service bathroom contractor, we’re also a supplier and builder so we always keep a close eye on how much the project costs. This gives us the freedom to spend within reason on what you really want. So whether your budget is large or small, NJ bathroom remodeling dreams can become a reality when you work with Gambrick. From traditional design to the most modern styles. Gambrick has the largest selection of bathroom products and accessories. Whether you’re looking for a luxury bathroom design or just an update, We have something for you. A large selection that can replicate any bathroom design you may imagine, even something you’ve seen in a magazine or on the web. 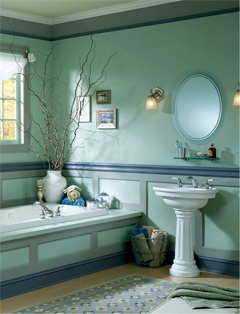 Our bathroom remodeling team is comprised of the best contractors in NJ. This makes us a great brand, superior in terms of quality, level of service, problem solving, project management, and warranties. Regardless of the challenges of bathroom remodeling in NJ, you eliminate the risk you might find with other companies when you choose Gambrick as your bathroom contractor. Since we always strive for complete satisfaction, from gut renovation to an intimate bath design, working with Gambrick can guarantee that your bathroom renovation will meet or exceed your expectations. 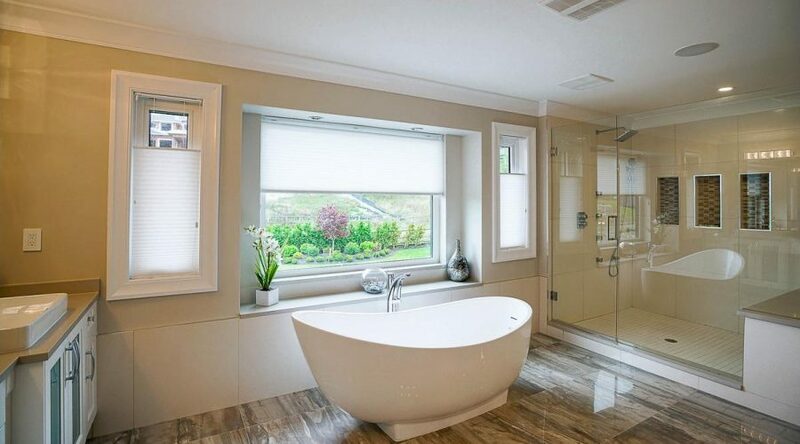 As a top rated Custom New Home Builder in NJ for over 40 years we have the experience and expertise to handle any problem you have, not just your bathroom renovation. We’ve built or remodeled hundreds of custom new homes at the Jersey Shore. Customers like doing business with us because we’re not just limited to redoing a bathroom. While renovating the bathroom we’ll also address other concerns you have like updating that kitchen, building a deck or sun room, putting on an addition or finishing that basement like you’ve always wanted.